Implementation of PLC devices makes manufacturing highly cost efficient and productive. 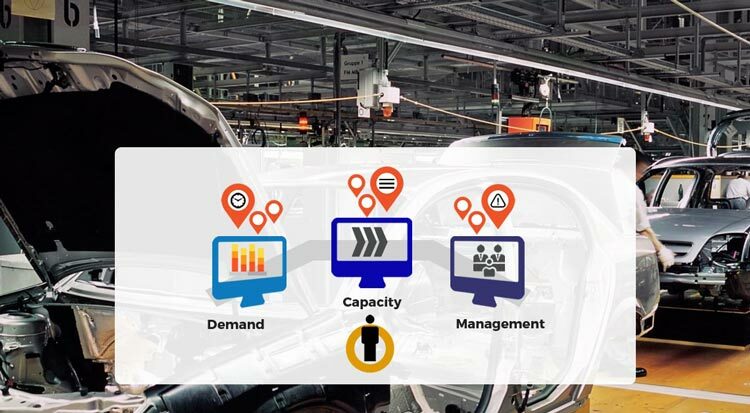 Complete & Comprehensive ERP Software for your industry. Implement the right Solution to improve your business processes and enhance business performance. Have specific business needs to be addressed? Need customized software for streamlined operations?. Rest your worries, We have experts waiting to comprehend your needs and devise the right product. Before we move on to comprehend the truth behind this statement, let us get a comprehensive outlook towards this device. A PROGRAMMABLE LOGIC CONTROLLER (PLC) in simple terms can be best described as a special computer device used for industrial control systems in many industries such as oil refineries, manufacturing lines, conveyor systems and so on. Here PLCs provides a flexible way to "soft wire" the components together and control devices. All that needs to be changed to provide the time delay is the introduction of a PLC device. 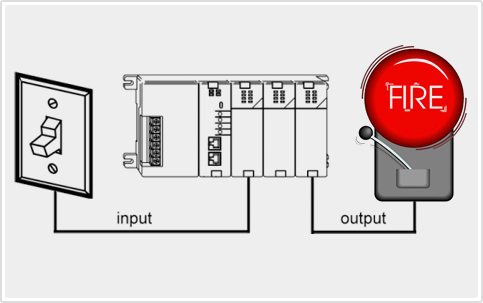 The switch is fed as an input into the PLC and the alarm is controlled by a PLC output. This is a simple example but in larger systems PLCs interact with multiple inputs and outputs. PLCs come in many shapes and sizes, from a small device that fits in your shirt pocket to very large PLC racks controlling large systems. Whatever be their size their components can be divided into three core areas. Smaller PLCs also called as "bricks" are typically designed with fixed I/O points. 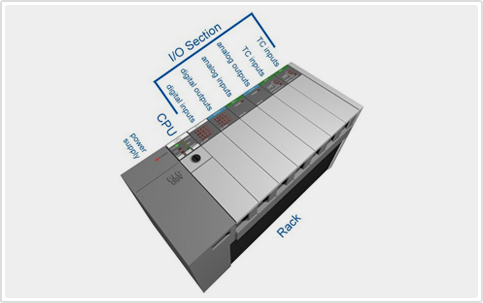 Typically PLCs are modular rack based systems, as the rack can accept many different types of I/O modules that simply slide into the rack and plug in. The rack holds all the components together. Depending on the needs of your control system it can be ordered in different sizes to hold more modules. The rack has a backplane at the rear which allows the inputs and outputs to communicate with the CPU. The power supply plugs into the rack and supplies a regulated DC power. Both analog and digital inputs / outputs can be connected to a PLC. The Central Processing Unit contains custom user program that controls the PLC. 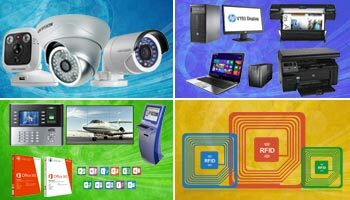 The processor is responsible for performing all the necessary computations and processing of data; accepts the inputs and controls various output devices like motors, lights, relays, pumps, etc. 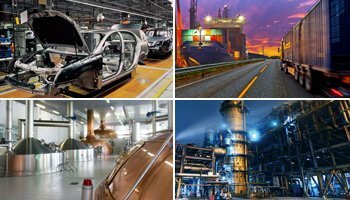 Automation of industrial electromechanical processes, such as control of machinery on factory assembly lines, amusement rides, or light fixtures are best achieved through implementation of PLC devices. PLCs are used in developed countries in industries like chemical, automobile, steel and electricity. The scope of the PLC usage increases dramatically based on the technical development in each of these industries, its functionality and application. PLCs find a wide range of applications in these industries where it controls multiple processes in production and quality management, ex: - Glass Industry, Paper Industry, Cement manufacturing Industry, process monitoring and control for fuel alcohol production, Food & Beverage Packaging industry, Automotive / Machine Tool & Robotics, Plastics & Rubber Industry. PLC Integration in Manufacturing Assembly line of this industry dates back to 1980; they are used in every procedure and workshop for controlling the material ratio, processing of flat glasses, etc. It is used for digital quality control and position control. The application of the device greatly improves the reliability and flexibility of the control system in this industry and offers digital quantity control. This industry employs PLCs for controlling the ball milling, shaft kiln and Kiln of coal. They capture accurate value of process variables during mixing processes within the kiln, this ensures that the output provided is of the best possible quality. Many Cement plants execute distributed control using individual PLCs to control auxiliary tasks like lab automation, cooler grate control, hydraulic power packs, reclaimer and Stackers, water treatment, compressed air, and bag houses. PLC control system is used to control and adjust many parameters in the process of high strength steel production; these include quenching temperature and tempering temperature, cooling rate in the actual production process, and many more. The successful application of PLC control system in the production line of high strength steel greatly improves the quality and production of high strength steel products, makes production lines stable, control mechanism flexible, accurate and saves huge production costs. In the Food and beverage industries to overcome the shortcomings of manual filling process, bottle filling task, Automatic segregation and directing of materials are carried out by machines. All sequential and repeated operations in this industry are normally carried out using PLCs. PLC Integration in Manufacturing Assembly line of the food and beverage industry has resulted in increased speed, accuracy and effectiveness of the production; has reduced worker cost and operation cost, packaging time and the risk of hazards. Automated Storage and Retrieval (ASR) Systems provide better inventory control, larger inventory and storage capacities, and faster and more effective materials handling. All the manual operations in warehouses are now replaced by sending signals from the PLC to the respective devices. The complete process of material handling in warehouses is effectively automated by movable elevator-conveyor setup that is controlled by the PLC. Warehouse stacker crane control is very efficiently controlled by PLC. PLC integration efficiently automates Warehouse Management. PLC devices work best as automation controllers in the automobile industry suitable, best suited for harsh industrial environments of high temperatures, humidity & chemicals, Electromagnetic interference, power fluctuation etc. PLC systems are modular, you can mix and match the types of Input and Output devices to best suit your application. Users choose from a range of potential interfaces ranging from simple, light and switch system to a complex graphic interface screen. The PLC capacity and design can easily be modified to suite your specific need post implementation stage. 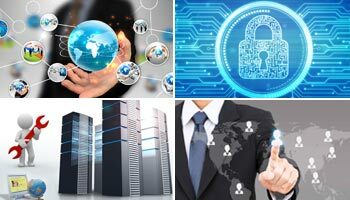 PLC software provide safety and security advantages over hardware appliances. It only gives information to those who are authorized and comes with more advanced security features. Software-based PLCs can also help cut production costs. PLCs have a fairly compact design and they practically fit anywhere providing industrial businesses with a safer, tidier and more secure computing option. PLCs are much affordable than any custom software developed to fulfill the same roles. All PLCs are backed by good documentation, stock of spares and a solid support team. Best suited for big plants & customers who want a stable platform that can last for 20 years and spare parts for 30+ years. PLCs are designed to ease of usage. Employees do not require special training in order to operate them, and monitoring the control system’s decisions is simple. 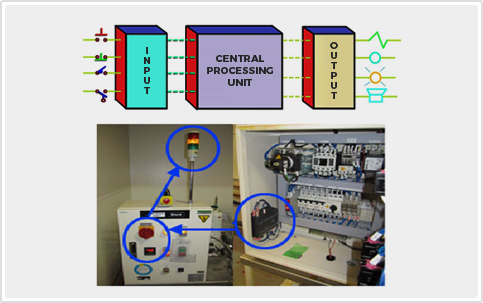 Programmable logic controllers initially emerged as a replacement of the relay control systems. Earlier to the implementation of PLC, the control, sequencing, and safety interlock logic for manufacturing processes were accomplished using hundreds of relays, cam timers, drum sequencers, and dedicated closed-loop controllers. The process for updating such facilities to make changes to the process was very time consuming and expensive, as the relay systems needed to be rewired by skilled electricians. PLCs eliminated the need to physically rewire the relay systems as it can now be done by modifying the software. Hence software in the PLC became the brain of the manufacturing process. PLCs offer the best of both worlds; superior performance and lower costs, a combination rare to discover. These tough built system stand up to the rigors of industry factories and shipping centers without compromising on the quality of operations and precision data collection & computing. 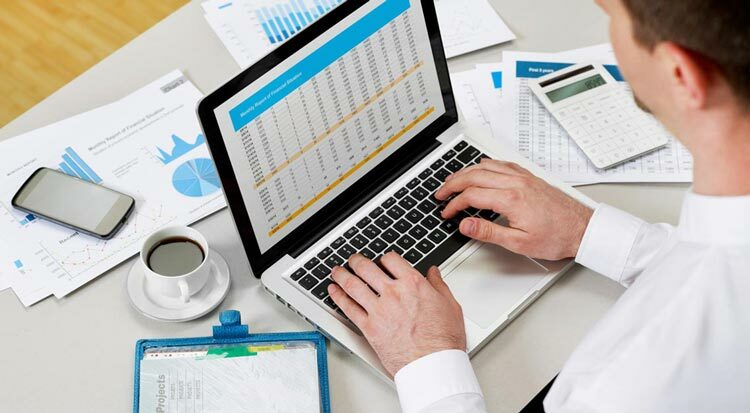 The shop floor has numerous entities, devices, and equipment that generate different types of data; most of which is absolutely essential for company management. The PLCs collect data and give real-time access to plant-wide information, but they do not store the data. However the integration of an effective ERP system with PLCs solves this issue for us. The real-time/current information provided by the PLC systems is converted into comprehensive reports relating to production, machine utility, manpower usage, etc., providing very useful business insights for the management. This integration of an ERP system with a PLC system would increase the transparency and visibility of information, providing the company management the opportunity to make smarter, more informed decisions. This would ensure your business remains competitive in today’s market through the effective use of technology and processes. 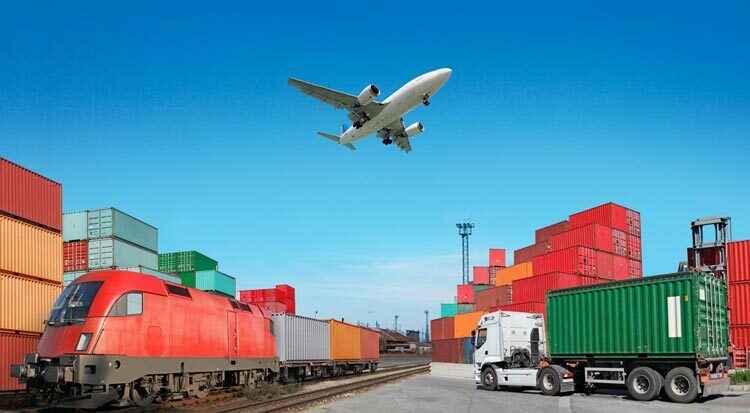 Evolving Logistics Scenario - How is the Road Ahead? All Rights Reserved. © Copyright 2018. Agaram InfoTech.